The "Wacky-go-lucky ng Cagayan de Oro," who bested 31 other contestants in the competition, was declared winner of the longest season of PBB which held its Big Night on Sunday, March 5 at the Alonte Sports Arena in Binan, Laguna. "Wag kayong matakot mangarap at huwag matakot magpakatotoo tungo sa inyong tagumpay," Maymay said. She won the title garnering the highest percentage of text votes after the reset on Sunday, 42.71%. 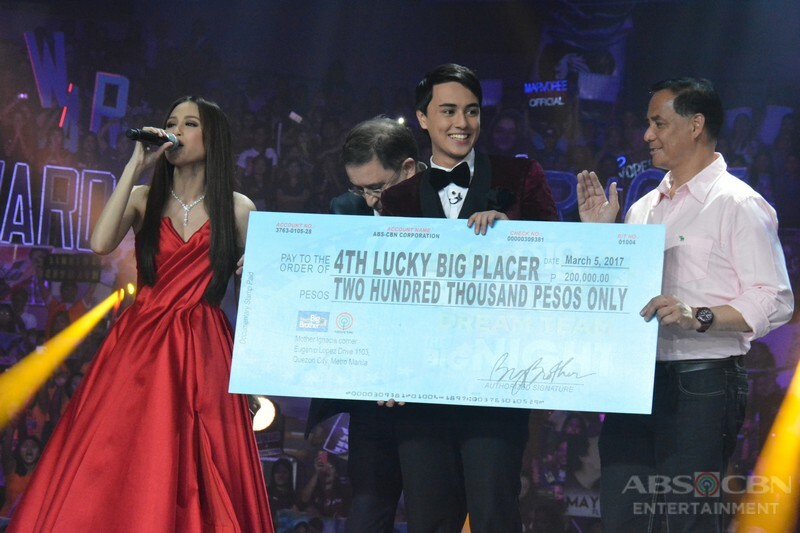 Maymay took home P1 million cash and other special prizes, including a house and lot and Asian tour package. Seventeen-year-old Kisses Delavin placed second with 31.27% of votes. She won P500,000 cash prize. Meanwhile, Yong Mujahil and Edward Barber ranked second and third, garnering 21.52% and 4.49% of total votes. They bagged P300,000 and P2000 cash prize, respectively. On Saturday, the four teens dominated the public voting for the 'Big 7' Dream Team housemates. Hashtags Mccoy de Leon and Nikko Natividad, Cora Waddell and Tanner Mata all removed from contention after garnering the least number of public votes over a weeklong period. They went home with P100,000 each. "Pinoy Big Brother: Lucky Season 7" began airing back in July 2016. Did your fave housemate win? Let us know in the comment section below.